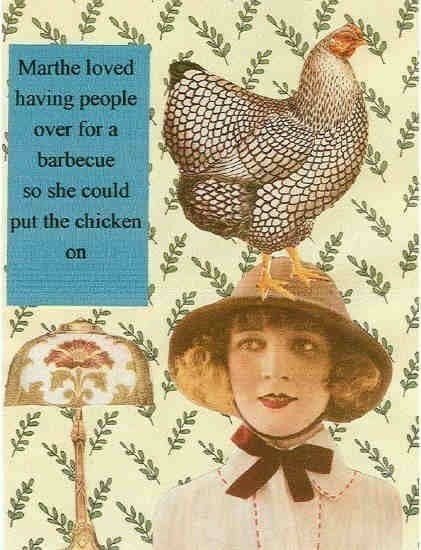 "Marthe loved having people over for a barbecue so she could put the chicken on." Another one in my humorous collage card series. Each notecard measures 5 1/2" by 4 1/4" and comes in a protective cellophane sleeve. This card was very well-recieved. Thank you! Quirky little card for my kitchen collage. Thanks so much.